Huck Seed, who was voted into the World Series of Poker’s 27-player Tournament of Champions by fans, won the freeroll event and the $500,000 first prize. Seed, who was the 1996 World Series of Poker’s Main Event champion, won the all-star tournament that was played off and on over a week’s time and included a 16-hour final day, played during the July 4th holiday weekend at the Rio. 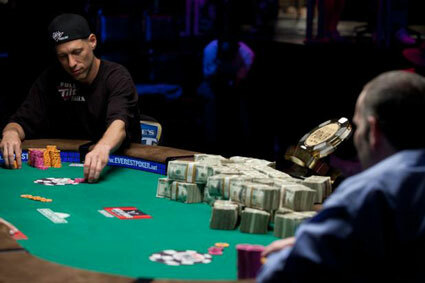 Seed, who has won four World Series of Poker individual event championship bracelets, captured the non-bracelet event after beating Howard “the Professor” Lederer, in heads-up play. Lederer, a two-time bracelet winner, battled Seed and third-place finisher Johnny Chan for nearly 90 minutes before losing on the final hand of the night to Seed’s pair of aces.